"Uniform: Nurse Dress A" by Normadeane Armstrong Ph.D, A.N.P. 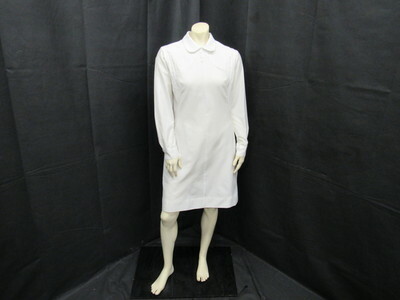 This is a long sleeve knee length nurse uniform dress made from white cotton fabric. This uniform was produced by Hour 24 Duty by Whittenton. The word "Proctor" appears to be written in pen near the manufactures label.